Welcome to Digitally Downloaded’s regular catch-up news feature. With each issue we will bring you the best news that you may have missed. Grab the biggest mug; you’ve got, fill it with your favourite brew, and catch up with us (and our favourite news anchor, Dee Dee)! Capcom is releasing an updated version of its wildly popular (critically and commercially) Okami this December. The BAFTA award-winning title was originally released in 2006 and praised for its Sumi-e ink art style. This new release updates to game's graphics to be compatible with current screen resolutions. In Okami HD, players control Amaterasu, a Japanese sun goddess who takes on the form of a white wolf named Shiranui. Her goal is to defeat an eight-headed demon named Orochi who has been turning the world into a wasteland. Using Amaterasu's magical abilities and items, she can rid the world of the wasteland and restore its natural life and colour. The game's original interactive loading screens are included. Okami HD will offer players the chance to choose between the game's original 4:3 aspect ratio and the more contemporary widescreen format. The game is being released physically and digitally for PC, PlayStation 4, and Xbox Lne on December 12. It will have 4K compatible graphics for us on the PS4 Pro, Xbox One X, or compatible PCs. 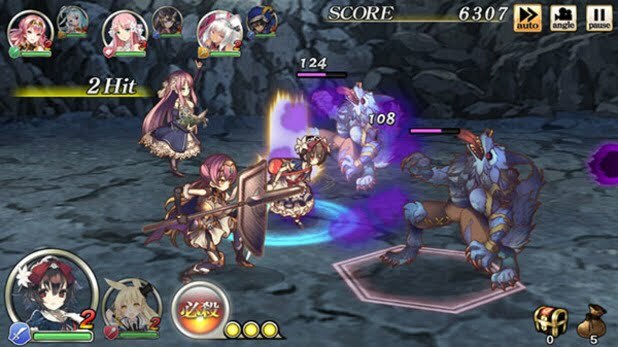 Square Enix launched Grimms Notes for iOS and Android devices in Japan early last year. Somehow I missed it, which in upsetting but also appreciated, because now I’ll have to wait less time to actually play the mobile title as it’s been announced that it will be coming to the West. At some point in time. I’ll take it! Grimms Notes is, as one would expect, chock full of fairy tale characters. The title plays as an RPG featuring Aladdin, Alice, Cinderella, Little Red Riding Hood, and more. Since launching in Japan, the game has been downloaded over 15 million times. Flero games is handing the game’s Western publishing. I’ve been keeping a close eye on thatgamecompany since it started slowly revealing teaser images for its next game, not really expecting that it would be announced during an Apple press conference. But it was. And it’s everything I imagined it would be. You may recognize the developer from its past titles, Flower and Journey. Sky seems like a natural next step for the developer. It will first be available on iOS and Apple TV, but that’s a time exclusivity. According to the developer, fans of Journey were asking for a similar game they could play with their loved ones, and that’s what Sky is. Players will hold hands with their loved ones while flying together through a desolate kingdom in the sky, where compassion is the light that will guide you. I’m sure I’m not the only one to notice Nintendo likes to completely ignore what consumers tells it, then does what it wants. 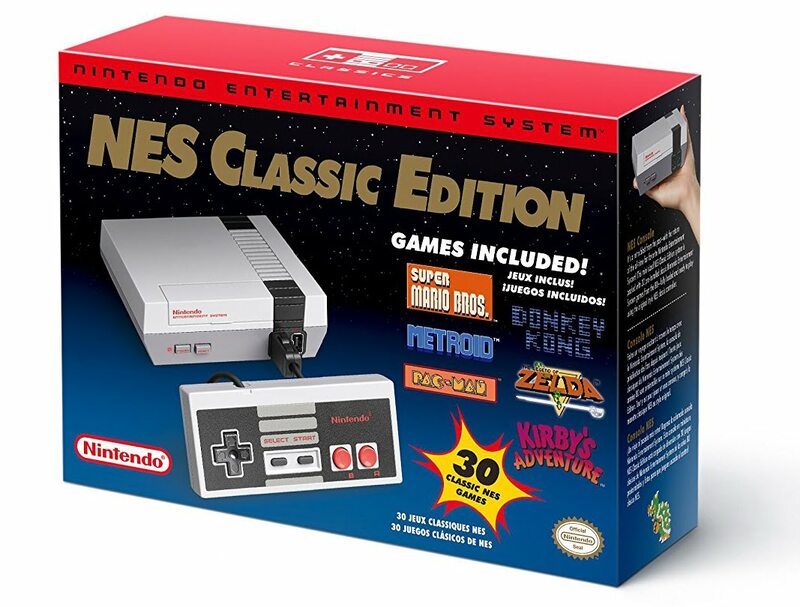 It paid of for the Switch, something very few of us saw coming, but when it comes to supply and demand for the NES Classic the company didn’t seem to care that thousands, if not hundreds of thousands, wanted the miniaturised console only to find it impossible to purchase firsthand. Well, Nintendo, I salute you. And thank you. Actually, I am practically in tears of joy, on my knees, praying to the Nintendo Gods to bring us a bountiful harvest of NES and Super NES Classic units well into next year. And it’s happening. It’s actually happening. The heavens have opened up and tiny little short-corded NES controllers are failing from the sky. All those who missed out won’t have to. Nintendo has officially announced that, due to incredible demand (duh) the Super NES Classic will not stop shipping at the end of the year, but will continue to be available well until 2018. Midway through next year expect to see the NES Classic hit shelves again; no further details are available but I don’t think anyone cares so much at this point. Thank you, Nintendo! Thank you!